We're more than happy to announce that our very own Grub Tub won the "Pitch The Press Best New Product Award" at the 2018 Western Foodservice and Hospitality Expo held right here in our hometown Los Angeles! The patent-pending Grub Tub is the newest way for customers to consume their favorite food and beverage combo. Available in 3 designs (round, squared and oval), the Grub Tub can hold larger food options including hot dogs, hamburgers, sausages, pizza slices, tacos and much more. RP & Associates is exhibiting at the 2018 Western Foodservice and Hospitality Expo in Los Angeles, from August 19th to the 21st; you can find us at booth #1505. We are presenting the Glacier Bags and new styles of the Grub Tub, which are both perfect for up-sells, alongside with many other custom and unique products. Provide customers with a quick/convenient way to chill their 6-pack when they grab it on the way to a party or event. Glacier Bags can be used by beverage brands or retail to increase sales/impulse buys while promoting your marketing program and they allow you to sell all your beverages ice cold and is a great way to drive sales - all you need to do is add the ice! The patent-pending Grub Tub is the newest way for customers to consume their favorite food and beverage combo. Available in 3 designs (round, squared and oval), the Grub Tub can hold larger food options including hot dogs, hamburgers, sausages, pizza slices, tacos and much more. As you can see in the image gallery below, the RP booth was all smiles and caught everyone's attention. Legends post the Grub Tub and Tin Can Cup! Our dear friends at Legends took to their Instagram to show how amazing their custom products look like. It is well known that all custom and unique prodcuts designed by RP & Associates are made for social media. The Grub Tub has generated over million likes and comments and as you can see below, more amazing pictures just keep coming! 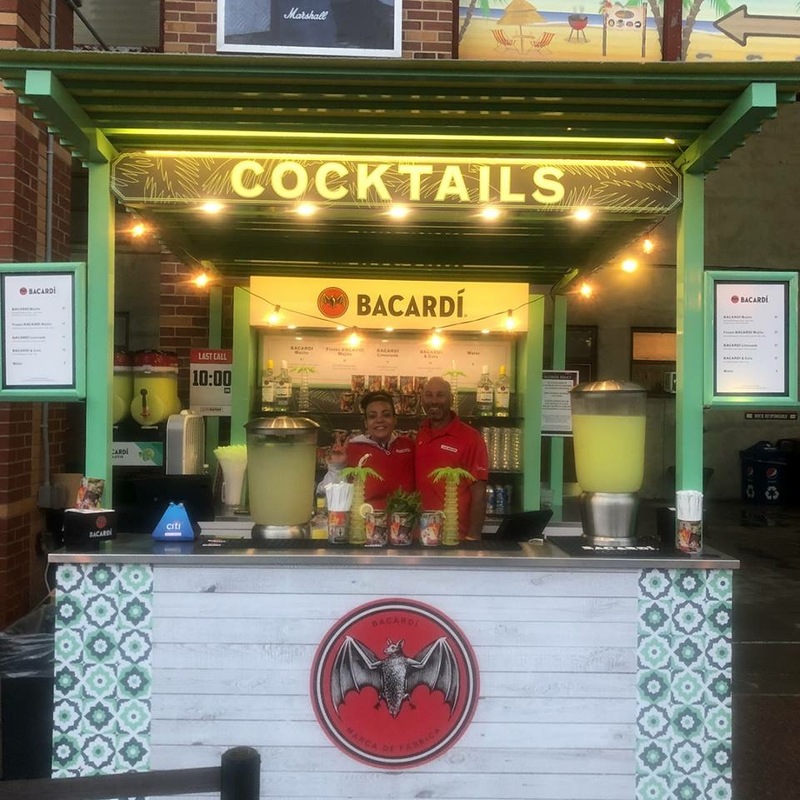 The Tin Can Cup is just one of our fresh new concepts that have been an absolute hit across all US Live Nation events at every Bacardi stand and have also been a true hit on social media generating many likes and comments and raising brand awareness by doing so. 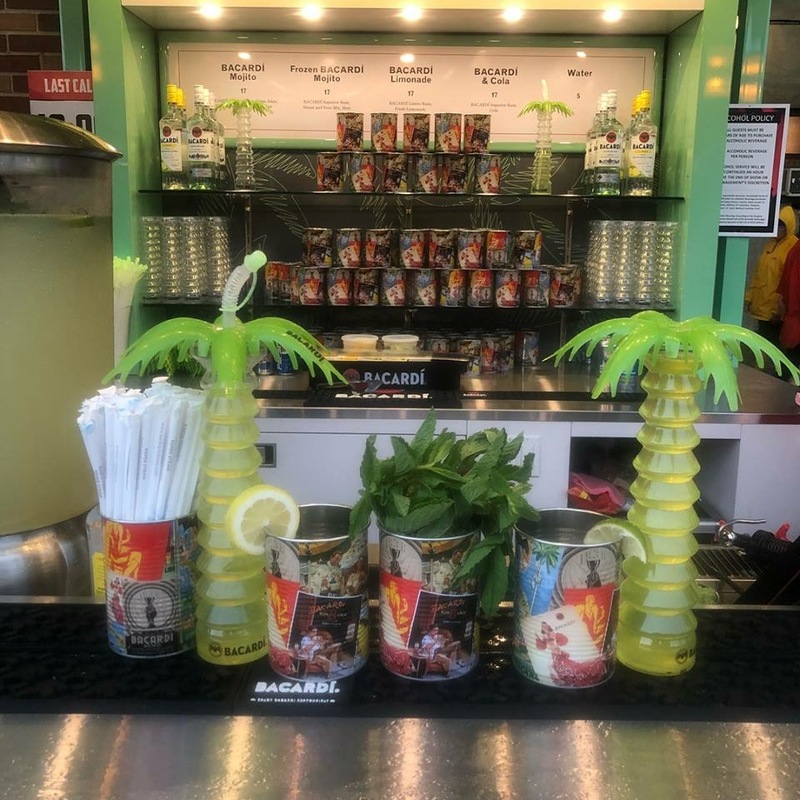 We are more than proud to announce that Bacardi is serving cocktails in our Tin Can and Palm Tree Cups throughout all Live Nation events. Make sure to stop by and enjoy some world class cocktails in our unique cups! RP & Associates were among the exhibitors at the Hawaii Lodging, Hospitality & Foodservice Expo (July 11th & 12th) with the BOOTH #1005 and the main reason was our brand new product that has been taking off in the states, especially in chains such as 7-Eleven and Love's. Glacier Bags are fully customizable and are the perfect solution for your customers to take ice cold drinks to the beach, hotels or anywhere else; they will make your customers' bottled or canned beverages ice cold within just 15 minutes (take a look at the video below). They are also an efficient replacement to traditional coolers, because we can fit more in a box and they use less shelf space. Styrofoam coolers are also being banned around the country, making the Glacier Bag the perfect solution. Aside from the Glacier Bag we also exhibited many other new and unique products such as the Eternal Rose Glass that not only embodies the real shape of a rose modified into a drinking vessel, but has petals inside which heighten the other senses of the drink, engaging your customer that much more.